"This is my sixth real estate transaction with Cynthia and once again she exceeded our expectations. She not only found us the house of our dreams but she also got us 20% over our asking price for our existing home.She has shown, in our many business transactions, that she is a true professional and has a firm grip on the market place. We looked at almost 75 places and never did she rush us or try to influence us in any way. Instead she advised us, counselled us, and encouraged us to keep looking. Her insight and knowledge of the market was invaluable. We would recommend her to all friends neighbours and colleagues for buying or selling. Thanks again Cynthia." "I asked Cynthia to be my agent as her “on-line” reviews were very favourable and her website appealed to me. She has certainly lived up to her reputation and exceeded all of my expectations. Having never really sold a home before, I was a complete naif. Cynthia answered my tentative e-mail to her within twelve hours and visited my home within forty eight. She provided a very comprehensive market value assessment and proposed a detailed and bold sales plan designed to generate heavy traffic through the house. Cynthia’s approach consists of integrity and service. She helped me prepare the house for its sale; even measuring, choosing, and ordering cupboard doors for the kitchen! To make the living room seem more “family friendly” she lent me a sofa to help emphasize the size and comfort of the room. She was a constant source of support and gentle encouragement in the days leading up to the actual listing. Once the house was ready for sale, Cynthia’s sales plan worked exactly as promised and the house sold for substantially more than the original asking price. Even after the sale was completed, Cynthia remained active and assisted me with finding a lawyer and completing the actual move. Cynthia is quite simply, exceptional. I am lucky to have found her! " "This is the third time we have used the services provided by Cynthia. We are so impressed with the level of professionalism and knowledge. She goes above and beyond to make your buying and selling experience smooth and hassle free. She takes the worry out of a stressful time and makes it a breeze! We would highly recommend Cynthia to anyone buying and/or selling a home." "Cynthia Shaw was recommended to us by a mutual friend to list our condo in downtown Toronto. We live in B.C.,and to have a great agent like Cynthia was a god sent. She went well beyond her call of duty. She arranged with the tenant about showings,helped to find a lawyer to keep costs down, and worked with the condo management company to get all necessary forms and minutes for potential buyers. Thanks to Cynthia's hard work, we sold the condo in less than a month. Again Cynthia step up to the plate and made sure all was in order to complete the sale. Cynthia even picked up the condo keys and fobs and personally delivered them to our lawyer. If you are thinking of buying or selling real-estate in the Toronto area, we have no hesitation of recommending Cynthia. She was really great to work with and a constant professional. Thank you Cynthia. W. Andre"
"Cynthia's knowledge, experience and patience were invaluable. She was there every step of the way, thru the sale of our home, and the purchase of our dream home. From organizing the staging of our home, to marketing our home (resulting in 4 offers), to understanding the needs of our new home, to targeting a new neighbourhood, to negotiating the purchase price, Cynthia's expertise is evident every step of the way. She provides the perfect mix of technology, personal attention, and market smarts. Cynthia has been a pleasure to work with and we will not hesitate to team up with her again." "Cynthia assisted me and my family during a difficult transition-- selling our father's house after he entered an assisted care facility. This was made additionally tricky as the family lives in a different city and much had to be done over the phone and over email. Cynthia was quick to respond to all queries and requests, going the extra mile to assist with document transfers to our lawyer, and helping tremendously to prepare the house and garden after years of neglect. We were very pleased with her services, patience, and with her warm personal demeanour. I highly recommend Cynthia!" "The service and attention we received from Cynthia far exceeded our expectations. My husband and I are first time homebuyers and didn’t know what to expect. Cynthia made the whole process seamless for us. She was able to help us ask the right questions and make our first offer on our property. Cynthia was always available to assist with any of our questions, was able to make all the arrangements with our lawyer for closing, provide contacts for the best mortgage rates and was available all hours. Cynthia, you made our first home buying experience effortless and straightforward. We couldn’t be happier with the level of service that we received from you and highly recommend you to friends and family. " 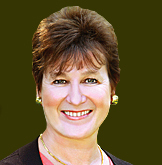 "When I considered selling my home in Oakville I contacted Cynthia Shaw for a market evaluation. The report that she prepared for me was extremely detailed and informative. During her presentation she outlined a very detailed marketing plan and the results to be expected from implementing that plan. We listed the home in February and within one week had eight offers on the property at the same time. My home ended up selling substantially over the asking price with no conditions and a perfect closing date. I cannot express how deeply grateful I was for all the work that Cynthia did to sell my home and the results that she was able to produce. Her service, dedication, honesty and integrity simply cannot be matched by any other REALTOR!" "Cynthia recently handled the sale of my condominium when I moved into a retirement home. She consistently went above and beyond my expectations of a real estate sales agent. She visited me at my home on several occasions to ensure that I was informed and comfortable with all the information pertaining to the listing and sale of the property and called frequently with updates on how the sale was progressing. She assisted with the final aspects of my move as well as providing me with a ride to and from the lawyer's office on closing. Her customer service was outstanding and the results she obtained surpassed excellence. "